Have you heard of Moroccan Argan Oil? Moroccan Argan Oil is considered the rarest oil in the world, and thus known as the Liquid Gold. It is still manually extracted from the kernels of the Argan Tree which can only be found in South – western Morocco. It contains High Concentrations of the Five (5) Essential Fatty Acids, Polyphenoles, Antioxidants, and Carotenoids making it a very effective skin serum. Argan Oil is Ultra-hydrating, Antioxidant packed, and Vitamin rich. 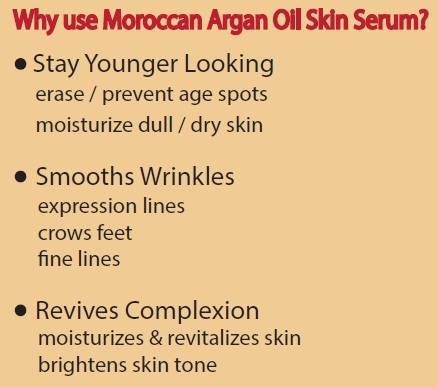 Unlike other serum, Moroccan Argan Oil is non-greasy and perfect for all skin types. It is quickly absorbed and regulates the release of sebum for oily skin, hydrates dry skin, and calms sensitive skin. I’ve tested Moroccan Argan Oil Skin Serum on my elbow for 3 days and it immediately show the amazing results in 2 days! No more dry skin, it moisturized our skin and skin tone obviously lighten! Directions: Massage 3-4 drops into the skin as required. If you think its a bit too oily, you may reduce to usage to 2 drops. Do you know that this amazing Moroccan Argan Oil is very popular among the Hollywood celebrities? 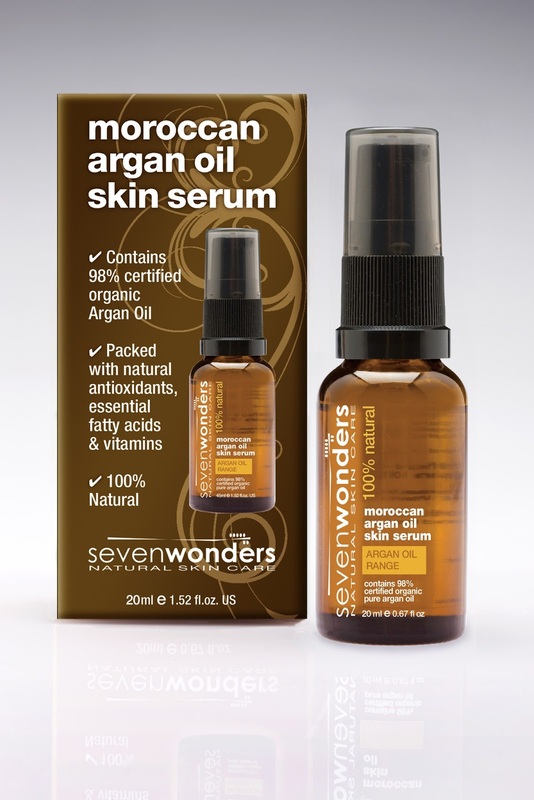 Moroccan Argan Oil Skin Serum by Seven Wonders is now available at Watsons! Seven Wonders kindly sponsored 1 retail size bottle of Moroccan Argan Oil Skin Serum to my reader! Only 1 winner will be chosen! Contest ends on 23 Jan 2013 (Wednesday) at 6pm! Congrats Shi Liy you won yourself a bottle of Moroccan Argan Oil Skin Serum! Thanks for informative information about argan oil.